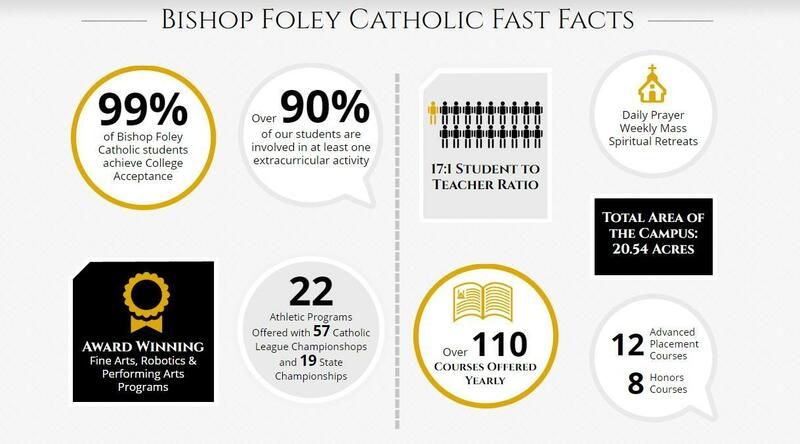 Bishop Foley Catholic offers a number of ways for your family and student to visit us throughout the year! 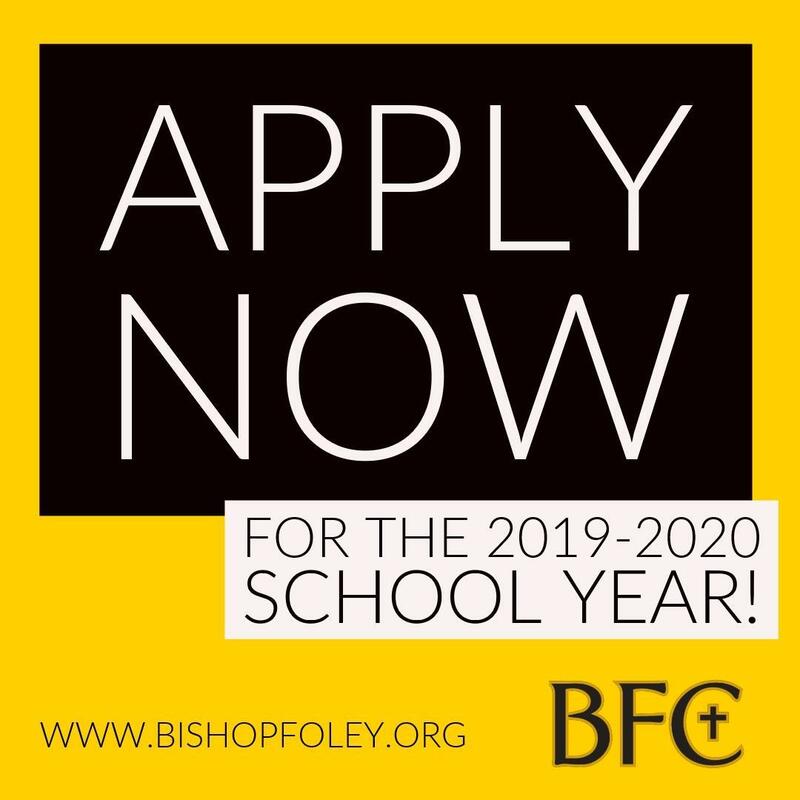 We recognize the difficulty in choosing a high school and encourage potential families and students to take advantage of the many opportunities to experience BFC. Listed below are the upcoming Admission events and chances for you to visit our beautiful campus and community of staff and students. The best way for a potential student to experience what it's like to be a Venture is to spend the day as a VIP Visitor. We encourage all seventh and eighth grade students to shadow a current BFC student once during the school year, either in the Spring of their 7th grade year or in the Fall of their 8th grade year. Students can either shadow someone they know, or we will match them up with one of our Student Ambassadors based on their interests. 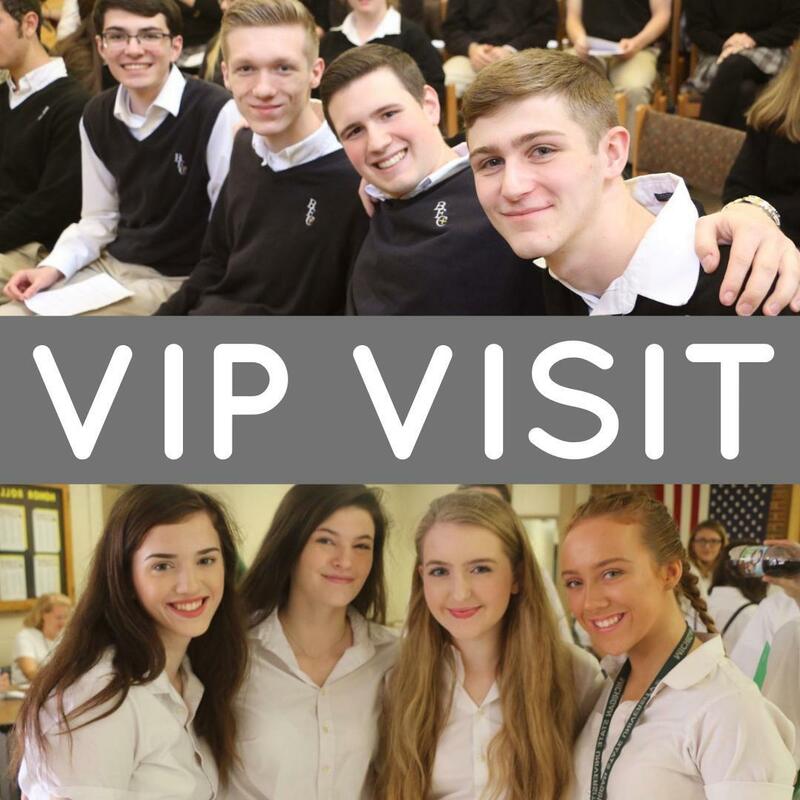 A typical VIP Visit involves meeting students and staff, attending classes, and enjoying lunch with the Foley students. We are confident your student will experience what it truly means to be part of The Foley Family when they spend the day with us. Another great way to get a feel for our school is through a family tour. You will have the opportunity to learn more about BFC curriculum, athletics, clubs, and organizations. Tours can be set up throughout the year by contacting BFC Admissions Director, Audrey Sharp at 248-658-2038 or sharp@bishopfoley.org. This is one of our biggest admissions events of the year and a great opportunity to learn more about BFC! Each attending family can take a tour of the campus. Families will have a chance to meet teachers, staff, and coaches and learn about the many clubs, sports, and academic opportunities offered. Open to students in grades 6-8, this event is a great way to experience some of the extra-curricular opportunities at BFC. Students will participate in Robotics, Culinary Arts, Medical Science, Drama, or Business followed by a pizza or taco dinner. Lastly, they will join our enthusiastic students to cheer on the BFC Boys Varsity Basketball team for a true Foley Experience! The cost to attend the event is $5.00 and includes dinner, a t-shirt, and admission to the basketball game. Checks/cash can be mailed to Bishop Foley Catholic or brought the night of the event.